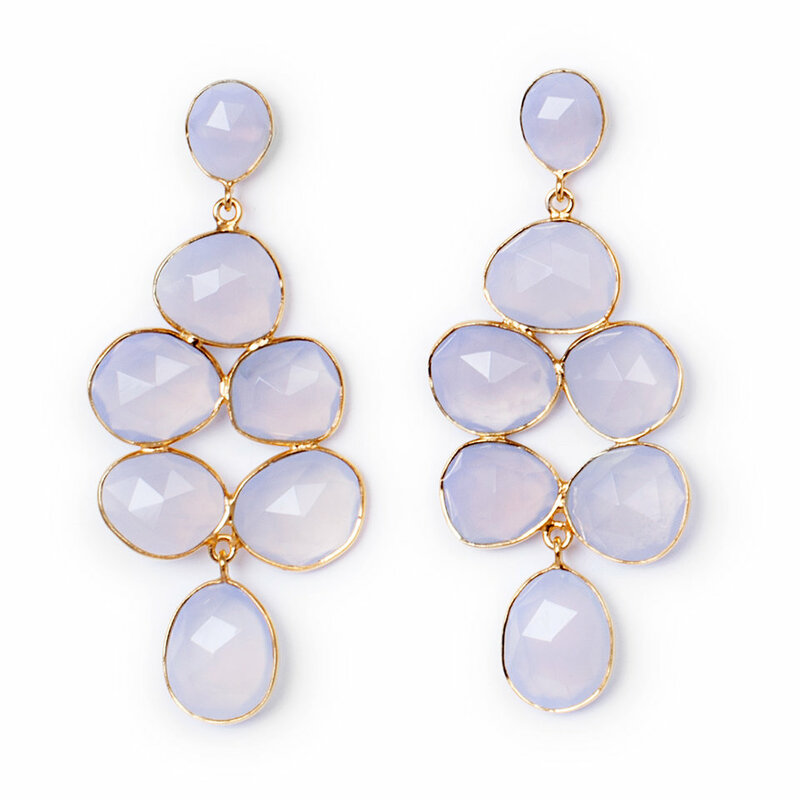 The Happy Grapes earrings are made of facetted natural gemstones. The gems are cut in various shapes and are assembled as a joyful bunch of grapes. Because every stone is cut separately by hand, every pair is unique.